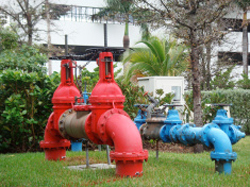 Here at Bold Irrigation & Supply, we are your source for drip irrigation products and systems. We offer competitive pricing, knowledgeable service, and top-notch products. Proudly serving the greater Seminole, TX area, we are the local leader in the sale of irrigation and electrical supplies. Whether you’re a farm owner, a landscaper, or simply a homeowner looking to maximize your property’s curb appeal and efficiency, we are the supplier to visit. Commonly referred to as micro or trickle irrigation, drip irrigation is the slow, precise application of water and nutrients to a given plant root zone. This provides direct application in a predetermined pattern to maintain the ideal moisture level at the root zone. The use of drip irrigation yields many benefits, including the encouragement of the formation of deeper plant roots, more abundant foliage, and lessened water waste due to the reduction of evaporation and excess runoff. We can help you to build your irrigation system. Drip irrigation is our specialty, and we provide professional technical service, design, and system layout services to our customers. We are dedicated to maximizing your efficiency and to the implementation of quality drip irrigation systems. Our team of irrigation experts is experienced in the implementation of systems for standard landscaping, nurseries, greenhouses, orchards, and more. 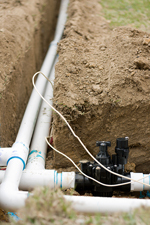 Bold Irrigation & Supply is your destination for all of your irrigation, plumbing, and electrical supply needs. No matter how small or large the job is, our team is here to help. We proudly treat our clients like family, and we would be more than happy to assist you in any way possible. 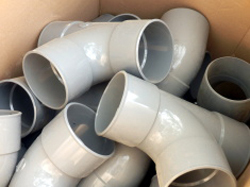 With our large in-stock inventory, we have just what you need to get the job done!